“How to make money online” is one of the biggest searches on the web today. To earn money online starts with a beautiful website and WordPress is one of the most popular platforms on the web. But, how can you make money with WordPress Website? There are actually numerous ways to make money with a WordPress website because of the unlimited potential. And the overwhelming number of different ways to generate income from a website gives you the unlimited amount you can earn. There are around 3 billion internet users and there are around 5.5 million products offered on the internet today. There are more and more people who are shopping online every day, and more people are getting internet access every now and then. So the best time to start an online business is today. But the main question is: How much money you want to earn, and how exactly you’re going to earn? 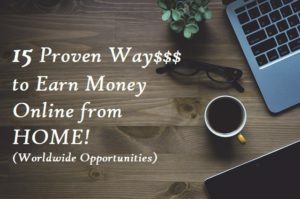 And for this reason, I made this guide where you can look at the proven ways to monetize your online business and decide what is best for you. Oh, why is WordPress so popular and recommended? Very easy to use – beginner’s friendly. A lot of developers available. Customizing is very easy with plugins and themes. Hosting a WordPress website is very simple. 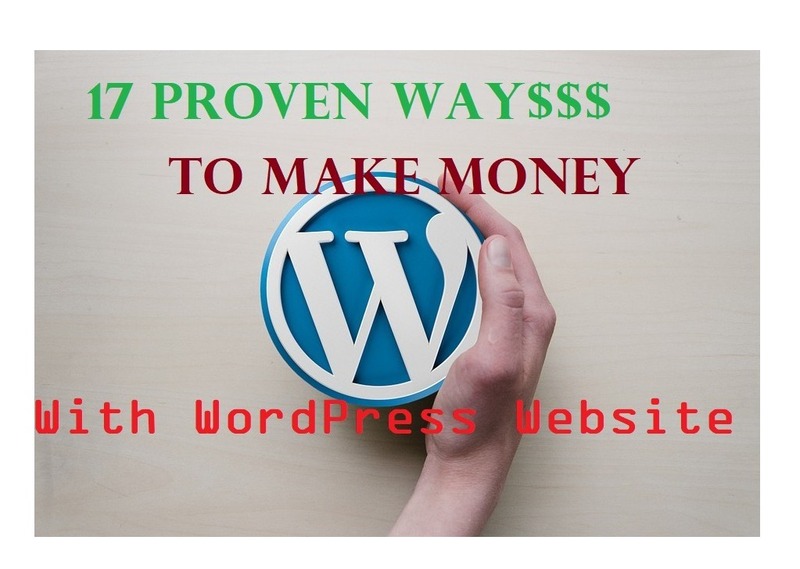 So, here are the 17 proven ways to make money with a WordPress website. And by the end of this post, you’ll find out that it can be surprisingly easy to generate an income online. Perhaps the best way to earn money online is this method and this is what worked for many bloggers on the web (including myself). Basically, using affiliate marketing method is where you apply to affiliate links on your site. Affiliate links or referral links are links you insert in your text or on images that direct the reader to a third party website. And if your readers make a purchase on the third party site, you earn referral commisions. Solving problems and answering questions. Affiliate marketing is the most powerful way to create passive income because your website runs online 24/7 reaching billions of internet users around the world. And the best place to start is where thousands of successful affiliate marketers are found – you can read my #1 recommendation. And see how people (including myself) generate income with affiliate marketing. But remember to put an affiliate disclosure when you’re using affiliate links. This is a legally required by the Federal Trade Commission and doesn’t worry this is just a standard form issued by them. You can find my affiliate disclosure at the bottom of this page. The main point here is to make your readers aware that you might make a commission if they click through and complete a purchase. There are ways on how to display ads and earn money. 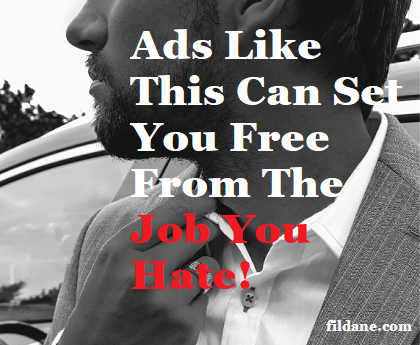 Create your own ads using affiliate links to other sites. Join text ads. e.i. infolinks. and your contents will display ads in the random text. Join an advertising network that will sell your ad space for you. The last one is the easiest way of earning revenue with your WordPress site. You can sign up for an advertising network like Google AdSense, Bing Ads, and Amazon for free. All you have to do is get the banner code placed on your website in a few strategic locations, and they will serve up appropriate ads for visitors to your website. And you get paid per click. But this method requires TONS of traffic to make good revenue from it. But in the long run, if you produce a lot of contents and are very active in social media, this can perfectly work. There are people who are earning a monthly revenue of $40K with display ads alone. This requires a lot of patience though since traffic generation can take a seriously long time, especially for a new blogger. And this is sometimes the major reason why there are a lot of bloggers who quit too easily if they expect quick results. But once your site is already running steadily; you*ll have a consistent income coming from your ads. Aside from the mention above, you can also sell or rent out your ads space. You basically get an amount of monthly charge for advertising a company or product on your site. Prices can vary greatly from $5/month to $5,000+/month. When you sell ad spots for a monthly fee to other business, you’ll get a flat monthly rate no matter how many times people click on your ads. This is great since you will get a consistent income coming from your ads, but the tricky part is that your buyers aren’t going to renew each month if they’re as aren’t getting clicks. So, this method is not recommended for a newly launched website/blog as it typically requires a lot of traffic or at least a trusted brand to earn good money with this. Wait until you website generates at least hundred visits per day, and a somewhat-defined audience you can pitch. As soon as you reach this level, buysellads.com is a great place to hook up with paying advertisers. Oh yes, this method is also a good source of revenue from your website. If you have your own video channel, all you have to do is to promote your YouTube video in a blog. You get views and get paid per click. Google runs YouTube, so it’s the same network as Google AdSense. This method is being ignored even the popular YouTubers. Having a website is a great way to drive traffic to your YouTube videos because you can embed videos on your site. You can actually double up you ranking twice for the same keywords and earn double revenue. Your website will rank and your videos will rank as well. There are available plugins you can use on WordPress so your videos will have a better look and behave on your website. So, the main key is to create content that promotes and compliments your video. And remember that you can do the return compliment of your website through your YouTube channel. Do you have an offline business and want to expand to online sales? Then this is it – the online store. This is the perfect way to accelerate your sales and increase revenue from a current business. This is actually what I did before I started fildane.com. And believe me, today offline business doesn’t exist if they can’t be found online. Well, it is absolutely possible to create an online store even without your own offline business entirely attached to it. You can store your inventory at your home and handle the shipments yourself. You can manufacture your own products, or have them produced by someone else with your logo. A digital product is just an online downloadable product like an ebook or set of videos. They can be published in different forms, i.e. Kindle, PDF, YouTube videos, app or software. The most popular one is the eBook, which the written format because it is the easiest one. All you need is a laptop and a word processing program. And videos require more time for editing etc. The main selling point is the knowledge and information. 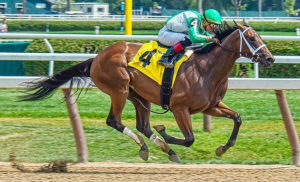 If you have an expert knowledge of something, this can be anything from a professional or technical ebook form “How to become a day trader” to “How to make tie your shoes properly”. Seriously, anything and everything under the sun. If you’re a musician/composer – you can make your compilation into an eBook. Seriously, anything you can come up and think of. Just anything you enjoy doing, can do well or really want to learn to do. You can absolutely publish and sell them online – like Amazon Kindle Ebook or Clickbank. And you set the price depending on the type and volume of the eBook’s content – i.e. $1 or $99+. Then the main job is – as soon as you published your eBook, you need to advertise it on your website to generate sales, i.e. by writing articles that promote your eBook. Publishing an eBook related to your niche will give you more credibility to your topic. This is one of the popular methods. Some people can earn up to $40K per month through dropshipping. According to surveys, there are around 20-30% of the online retailers use dropshipping. So it’s absolutely a proven business model. Even big retailers like Amazon use dropshipping. You don’t need an inventory of your own products. You don’t need a warehouse to store your products. You don’t need to handle packaging and shipping. You see, when you run a business through drop shipping, you avoid all of those risks and potential loss of capital investment. Now that we’ve taken a look at the benefits of a drop shipping business let’s take a look at how the business model of dropshipping actually works. Yes, podcasting is also on the list. You might not be expecting it but this is also a proven way to make money with it, even if you’re just getting started. Once your podcast grows and has achieved a numerous audience you can start receiving income from sponsorships and product promotions. There’s an unlimited number of ways you can make money with your podcast and you can promote it through your WordPress Site. And if you already have your own products and services then you certainly can promote them on your podcast. And If you don’t have your own products you can promote other people’s products and services as an affiliate – and earn commissions for that. Today, having a local business without a website is very outdated and old passion. To be visible in the market your offline business needs to be visible online as the majority of your customer are going online to search for a particular product that might be offered in your business. Without being visible online, your competitors will reap all the potential earnings that you could have generated with your website connected to your local business. So if you have a local business you need to connect it to your website. By learning about WordPress your customers can have a much better experience. And guess what? Having a website is a marketing tool itself that can scale your sales and income. However, if you don’t have your own local business you can help local business by offering them to make a website. Today, there are still a lot of local businesses who either don’t have a website or have an outdated website. Some people offer complete and ready made websites and get money for it depending on how big the website should be. The charges varied widely from $300 to $1500 for a website with 3pages to 10 pages. And then offers a monthly maintenance fee. This is a great way to create a stable income. Some people make $15,000 per month with this method. So have your own site promoting your own/affiliate products and services plus having a blog about local activities, online marketing, and a social media presence can also help land you clients by ranking in search engines. Email marketing is one of the great ways to make money online. However, this method normally starts with a website by building your list. One way of doing that is to offer free gifts to your user when they subscribe to the site. Your subscribers will then receive some newsletters from you. And ideally, you don’t want to sell products and services right away when sending emails to your subscribers. Start sending them useful pieces of information or articles to gain their trust. It is suggested to start sending sales letters after your third email. However, if you have a very new website with few pages and posts it is not advisable to start building your list. Wait until your reach around 100 site visitors a day. Here are the few things you can generate income from email marketing. Sell your own products and services, i.e eBook, training guide, online courses, mentorship/coaching or workshops. Sell other people’s products and services as an affiliate. Upsell premium or exclusive products. Almost everyone who goes online has a social media account. Therefore, promoting a website through social media is one of the best ways to generate traffic and eventual sales. No matter which niche you have on your site, sharing your informational and useful contents will increase you followers that will help with your site rankings on search engines. You can monetize your YouTube channel directly to social media or share your website promoting your youtube channel is also a great way. These are the most popular social media platforms today: Facebook, Instagram, Twitter, Pinterest, and GooglePlus. If you have your own products and services you sell them with affiliate commission. You can use a plugin for that. But that easiest and more effective way is to become a merchant to any popular network like ClickBank, ShareASale or Rakuten. This method will surely accelerate your sales and income. Over the time you’ll become a high-end user of WordPress by working with it regularly. This can give you a chance to make your own WordPress online courses in a form of instructional videos and step-by-step guide. And the most exciting part is that you can offer multiple courses to different level from novice to expert. This can be about the WordPress itself or anything about your niche you’re working with. The most popular online courses I have seen when it comes to making money online and investments are Stock Market, Forex, Property investments and different online business like blogging. With this method, you can create a website or blog with the intention of selling it. There are many people who are achieving success with this method. Some are professional website developers and some are just ordinary bloggers with prior experience when they started. So the main goal is to create websites and sell them without going through and fully monetizing them. Although you can sell a profitable blog or website you’ve been running for years as well. As a rule of thumb, you set your own price for the websites. 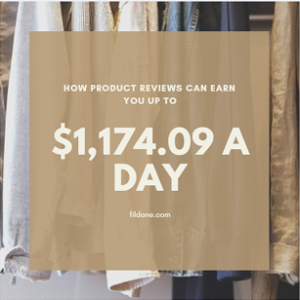 However, if you have a site that generates $500 per month from ads and affiliate sales then is it acceptable to set a sellout price above $12,000. I know someone in our affiliate community who sold her blog for $40,000 after 6 months. The buyer happened to be a competitor of her blog. And this is just one of the cases that people offer to buy a beautiful website even if the website is NOT for sale at all. So, If you are approached to sell your blog take some time to consider the offer, your goals for your website (if you keep it) and consider contacting other possible interested buyers. This method has been very popular even before the internet. If you have your own product and services, you hire a freelancer or external people to make more products to accelerate productions and sales. For example in manufacturing bags or shirts. Hiring freelancers or limited subcontractors is a great alternative if you don’t want to be bound with a lot of administrative jobs. You just pay per a certain amount per piece of product made. Today, this method has also become one of the most popular methods on the internet when making digital products. You hire a freelancer to write some articles for your blog and pay either per hour, per word count, or per article. The tricky with this part is that it requires an initial investment but your blog will become extremely huge in no time. For instance, if you get 5 articles per day or 35 articles per week, then your site will be going to have 910 extra articles in just 6 months. And believe me, no one has time to right 35 high-quality contents in 1 week. The great thing about this is that your blog will become a passive generating income machine. You can also earn a lot of money by just writing an article if you can find some sponsors. But this method applies when you already build a brand inside your niche and your website has an acceptable number of daily visitors. The best example is a smartphone niche, wherein you will be paid by making a product review i.e. the newest iPhone model. You will be paid cash and keep the iPhone unit. Which is awesome. The important thing here is, to be honest in your review of the product or service and remember to disclose that it is a sponsored post. And yes, your opinion should be honest even if a company is paying you hundreds of dollars. Make sure your review is detailed with a closer look and with your personal experience that the readers can find it helpful and informative. When your website becomes huge enough with so many informative articles you can offer a membership fee for gaining access for more exclusive articles. This method is commonly used by more advanced publications like fashion magazines, investing newspapers and the likes. But this method is also used by anyone who owns a website that tackles more advanced or professional topics. You can make magazines and send them to your members 6 times a year. So, if you are working with a professional field/niche, i.e. architectural field, medical, medicinal, nursing etc. This is a great way to generate more income for your website and you can promote other events through your magazines or publications. Your potentials of earning a huge amount of money are just right at your fingertips and this is just by owning a simple WordPress website. It’s a great opportunity to start and grow an online business, extend your reach, or simply improve yourself as an individual. Right now is absolutely the perfect time to build your first website and get started. Today it’s billion times easier to build a website that it was for 10 years ago. The technology is continuously evolving over time and imagine how it will change over the next 10 years. If you have been ever thinking of starting an online business, take the first step NOW, and learn as this industry changes. Your road to your success is just right here and starts with just a few clicks away. 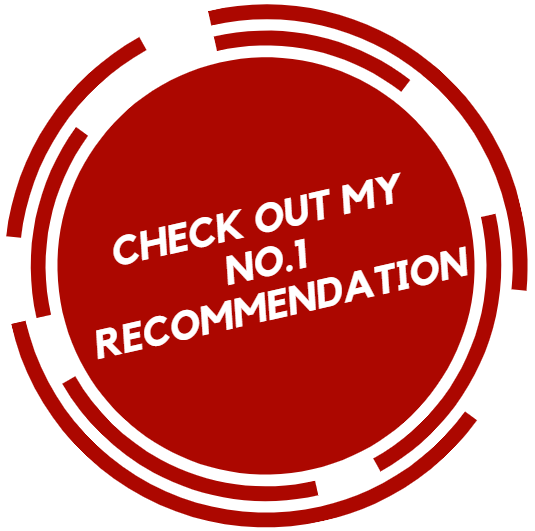 If you’d like to learn more about affiliate marketing and how you get started free, remember to read my #1 recommendation. This is where I also started my journey and begun earning revenue in just a short period of time. I hope you enjoyed the article. Please leave a comment or question below and I will be more than happy to help you out. 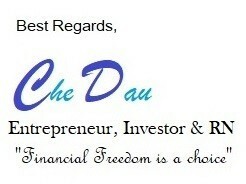 Goodluck with your journey to financial freedom. God bless. Start A Blog Site - Is It Too Late? WordPress does make creating a site very easy and like you mentioned, there are so many ways to make money online. This can be confusing where to start. You have covered a lot of ideas here, but I am wondering what is the best one for me? Personally, I love blogging because it works for me. If you are a new blogger right now, then I suggest you start with number 1 and 2. And as you become more and more experienced blogger, you can begin with email marketing and take more advantage of your own knowledge and skills with almost everything stated in the article – like offering online courses or making a website for local market etc. The main point is to find out what really works for you, but you need to focus with one at a time. 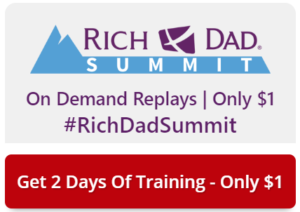 If you haven’t started yet, then I can recommend start a FREE training at Wealthy Affiliate. This is also where I started.